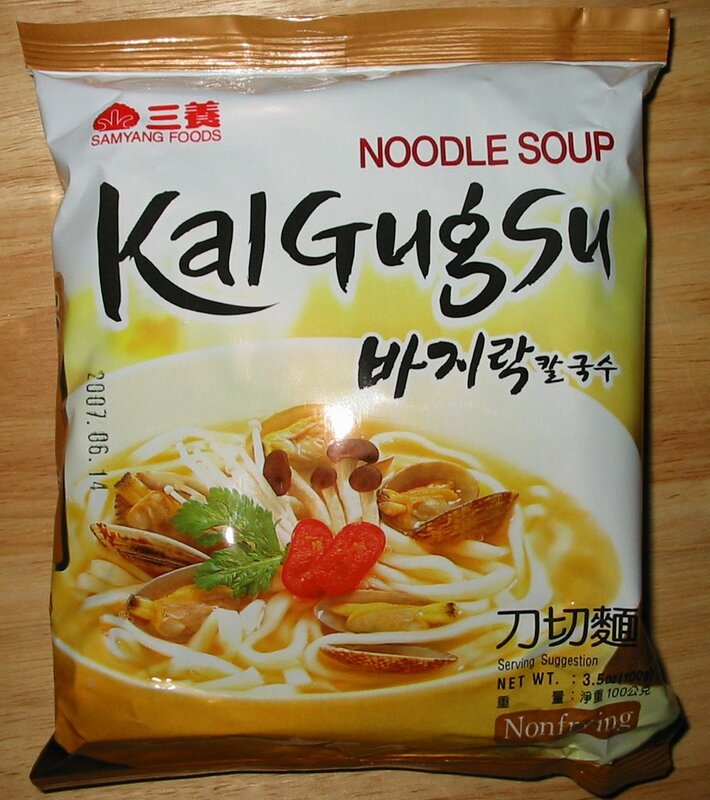 I am not too familiar with what KalGugSu is supposed to be, but I believe it is a Korean dish made with a shellfish broth and chewy noodles. The picture on the front of this pack seems to corroborate my hypothesis. These noodles are made by Samyang Foods, one of the giants of Korean instant noodles along with Nong Shim and Paldo. Unlike all other Korean noodles that I've had, KalGugSu's noodles are wide and flat. They are also chewier and maintain their chewiness even when cooked for a long time. The other surprise here is that this pack is not hot and spicy, like almost all other Korean noodles. For once, I was not completely disgusted by the seafood tasting broth. The taste is quite clammy, but it is done in a savory way that actually tastes like clam. The bits of seaweed and carrot in the broth were helpful as well. I still prefer the hot and spicy types of Korean noodles but this is a nice change of pace. 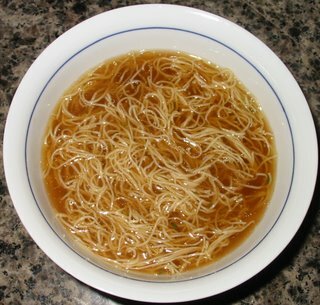 Both the texture of the noodles and the flavor of the broth are very different than the usual fare. 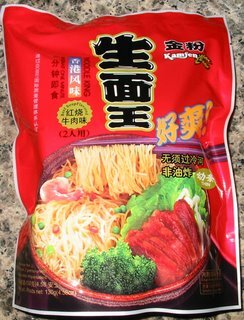 This pack of ramen comes from China and is a little differently packaged than the standard pack of instant noodles. This is actually a pack for 2 people and contains 130g total. Within the pack, there are two separate bricks of noodles and two separate sets of flavoring spice/oil packets. I'm not sure why Kamfen decided to package two sets of noodles together, I suppose it is to try and shave some cost off the packaging. Still, it seems rather silly because instant noodles are commonly accepted as a single serving in a package. Despite the fact that each noodle brick was only 65g, it still felt like a lot of noodles and one of the two bricks was definitely enough for me. The soup flavoring was unexpectedly mild and complex and reminded me quite a bit of the ramen that I have had in Japanese restaurants. The beef flavor was quite faint and the taste was quite complex and made up of star anise, ginger, garlic, and other spices. 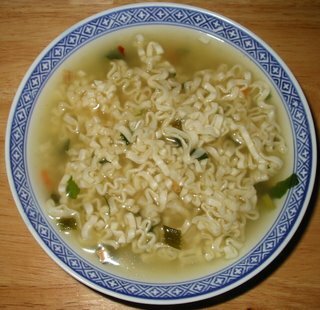 The noodles themselves are notable because they are quite different than the usual instant ramen. They are quite thin and didn't become soggy even after being cooked. I generally prefer my noodles a little soft and thicker but these remained chewy, which was an interesting change. Since they are so thin, they don't have much flavor, but the soup base was pretty good if you like mild tasting soups. I was honestly surprised to see that these noodles came from China. The packaging, noodle texture, and soup flavoring all reminded me of the higher quality Japanese noodles like Myojo Chukazanimai. That is quite a compliment, because those high end Japanese ramen are the favorite of many ramen lovers. My personal preference are for noodles that are more bold in their flavoring, like the fiery red Korean noodles or the savory sweet and spicy Indonesian noodles. But I know a lot of people will like these noodles, especially if they enjoy fresh ramen from restaurants. It's a sad day for Ramen Lovers all over the world today as news has broken that Momofuko Ando has passed away at the age of 96. This ramen pioneer was the founder of Japan's Nissin Food Products Co. and is credited as being the inventor of instant ramen. I consider Ando's invention one of food science's greatest innovations in the 20th century. 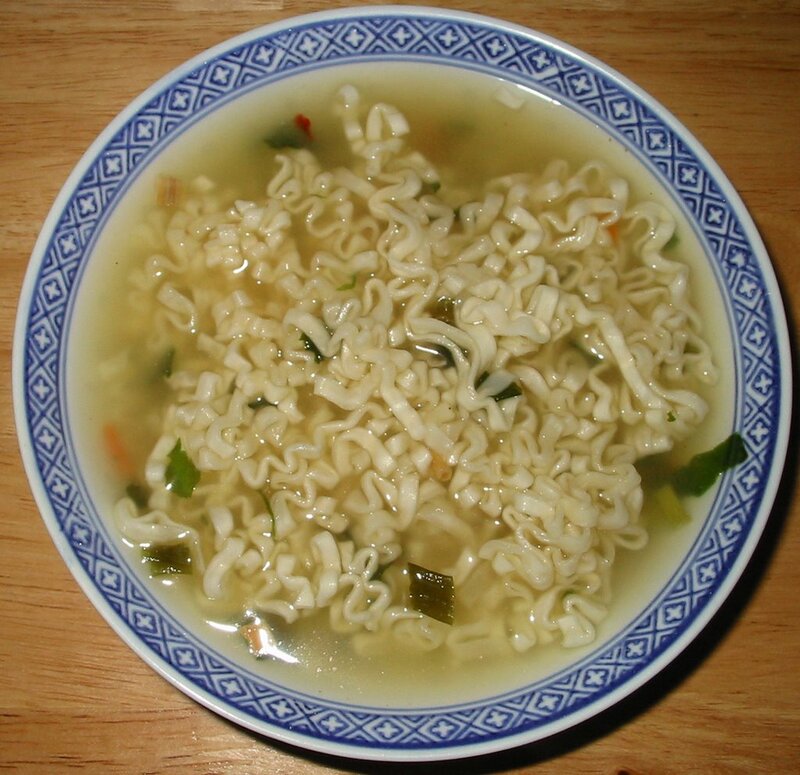 Instant ramen has brought quick and delicious meals to billions of people across the globe. I will honor Ando's passing by enjoying a steaming bowl of instant noodles.